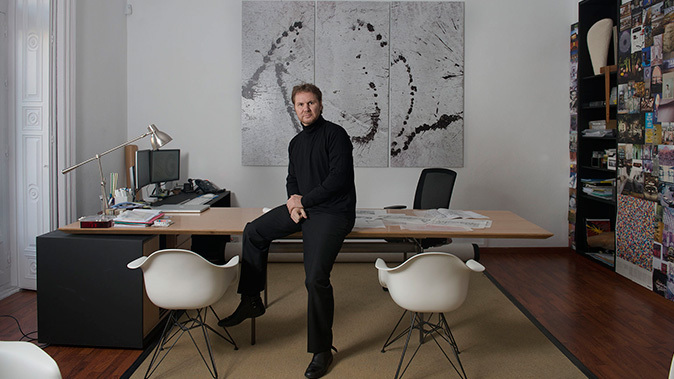 The second edition of the InterCIDEC competition will count on architect Diego Gronda´s presence, Studio Gronda Founder. Who is going to deliver an interesting lecture during the award ceremony on September 19th at 16:30 in the Agora zone of the Valencia Habitat Fair. Gronda is an international designer with more than 20 years of leadership in the architectural and interior design sector. Along with his career, he has collaborated with some of the most influential hospitality operators (such as Virgin Hotels, Nobu Hospitality, Taj Hotels Resorts and Palaces, Ritz-Carlton…). Hong Kong, Qatar or Buenos Aires have been some of the sceneries that have hosted this famous architect´s professional activity. We are willing to listen to the founder of STUDIO GRONDA, who is going to tackle in his conference issues related to design, creativity, innovation and the future of hospitality.